There were several surprises in store when the Gaywood Valley Conservation Group’s plant expert and I started examining the wild flowers in a wildlife refuge we are helping to establish near a housing estate and a sports complex just outside King’s Lynn town centre. 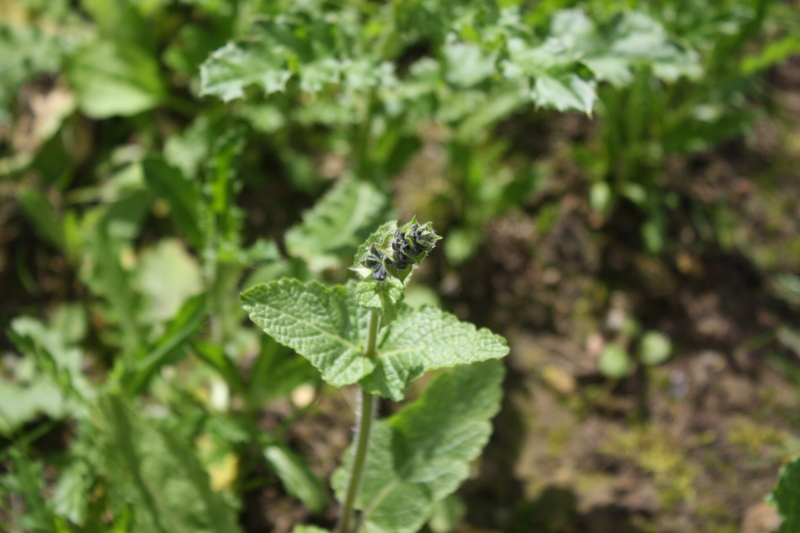 Although we weren’t expecting to find much among the numerous thistles at Salter’s Sanctuary, several treasures, including one or two possible rarities, were uncovered. In fact, we found upwards of 50 species in the first section. 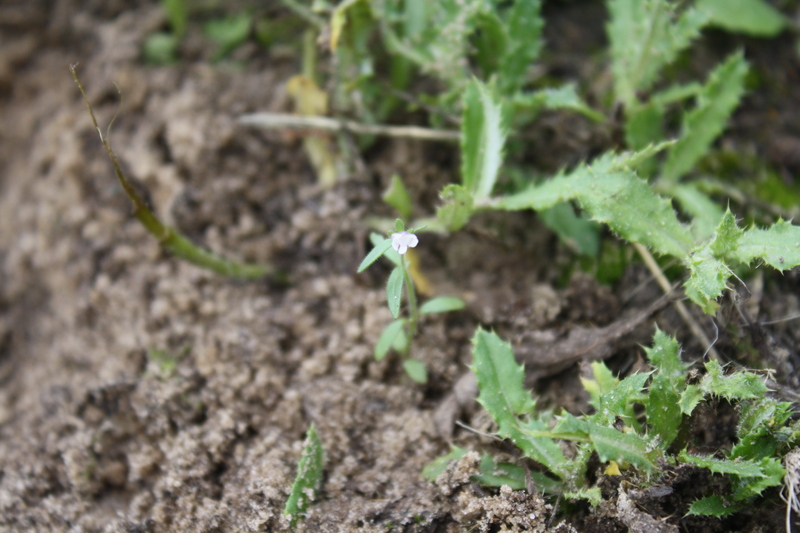 Small toadflax – it was about an inch tall. There are slight difficulties, in as much as the soils on this part of the site seem to differ widely from sandy to rather wet and clay-like to even river silt as the Gaywood River is close by. Also, we think various seed mixes may have been added at some time, so it’s a real melting pot! Other members of the group worked to remove many of the thistles from the area so the other plants would have a chance to grow and develop fully. 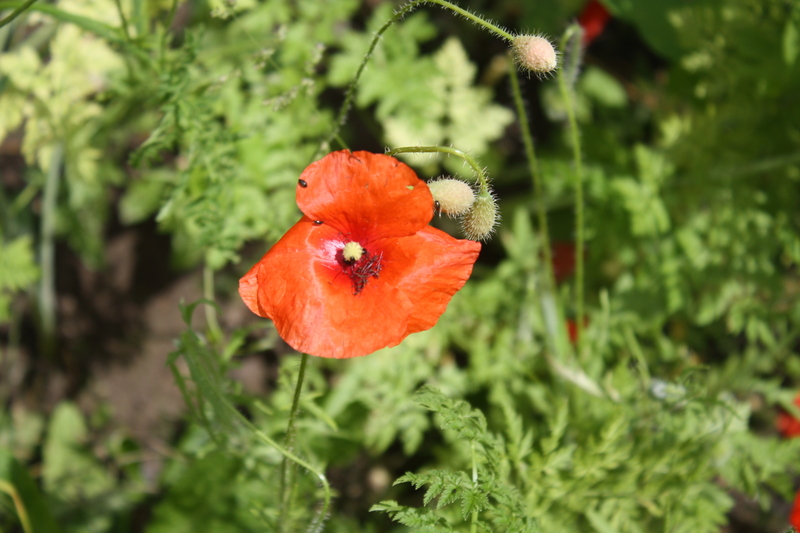 It was lovely to see several common poppies waving their heads amongst clumps of mayweed. The conservation group have been working on this 2.6 hectare site, which is owned by King’s Lynn and West Norfolk Borough Council, for a little over a year. The council have plans to build a lot of houses right up close to it and they have very recently decided to call it Salter’s Sanctuary. Norfolk Wildlife Trust helped set up the conservation group last year and the Trust still advise us with our work here. 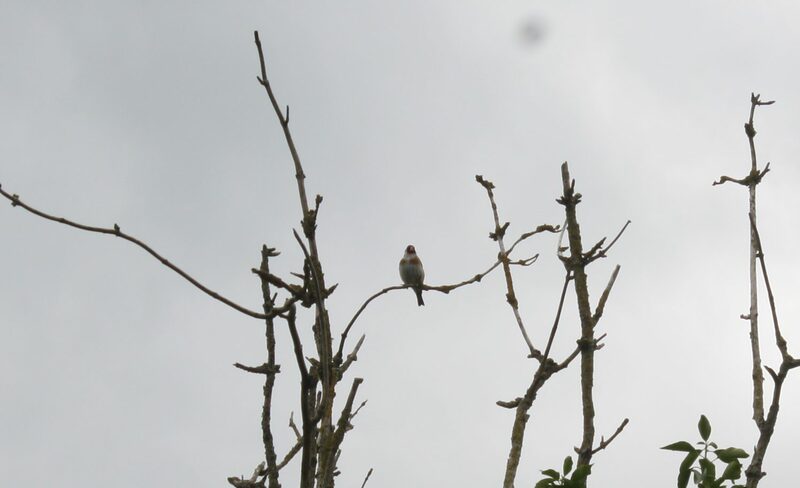 A goldfinch sang to us at the end. The morning was further enriched by plentiful birdsong, including from chiff chaffs, blackcaps, house sparrows, greenfinches, blackbirds and goldfinches. And I was delighted to see another ringlet butterfly and a small tortoiseshell. A white butterfly was hurrying around as well as the temperature rose, too much so for me to identify it!